The greatest mystery of the universe is the mystery of Lucifer. Lucifer is the highest angel in heaven who wanted to ascend into the level equal with the Most High God. The mystery of mysteries is an angelic being who knew all the knowledge of the universe and understood all the mysteries of existence, and yet chooses to sin against God.The question is how could he being a created being even conceive and believe in such an idea that he could become the creator himself? The answer to the greatest mystery of all is found in understanding the universal aspect of God. Lucifer knew that all power in the universe resides in the universal aspect of God which is the universal subconscious mind of God. The same power that God has is available to all beings. God’s power is available to all his creatures. Therefore it is the personal aspect of God that Lucifer sought to usurp sovereign rulership from. The only way Lucifer seeks to usurp God’s sovereign authority and rulership of the universe is by using God’s power against God. Lucifer knows the way to win against a more powerful opponent is by using his power against himself. Therefore Lucifer is attempting that towards God by using the universal power of God against the Personal Aspect of God. Lucifer was the firstborn of the angels in heaven. 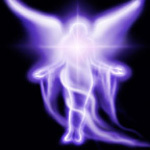 The angels were the sons of God and the princes of the cosmos. Lucifer was more powerful than any other prince except for one. He may have been the firstborn of the angels but he was not the firstborn of God. The one greater than Lucifer was the only begotten Son of God. He is also known as the Angel of The Lord. His name is Jesus, the one who is coeternal and coequal with The Father. It is Jesus who represents the personal aspect of God. He that has seen the Son has seen the Father. The entire bible is the sum of the word of God revealed as a person. The bible is the only holy book that is a revelation of the Person of God in Christ Jesus. Lucifer wanted to become equal with the Godhead. Lucifer believes he can evolve into being God. He believed that since created beings are divine aspects of God, they possess the potential to ascend to the level of the Most High personality if they could conceive and believe in such a possibility. But to do that would be to defy God because he did not have permission to do so. Lucifer felt that he did not need permission from God to do so anyway since to be like the Most High means he answered to no one but himself. He felt that the highest authority isn’t given but is to be taken. Lucifer has corrupted his wisdom by reason of his brightness. He has ascended beyond the level of genius into insanity. So he decided to rise above his rightful position as the guardian of God’s throne to become as one who sits upon the throne instead. There was an outbreak in heaven as the angels wondered whether or not to recognize Lucifer’s newfound self declared sovereignty. As a result, Jesus allowed all the hosts of heaven to decide among themselves whom they shall serve and pledge allegiance to. With his great powers of persuasion, Lucifer convinced a third of the angelic powers to aid him on his quest to be sovereign like the Most High. If Lucifer succeeded, it would prove that the rest of them could also be like the Most High. The rest of the angelic powers remained faithful and true to the Lord. Hence there was a great battle among the sons of God that caused the powers of the heavens to be shaken and the fate of the universe to hang in suspense as prince clashed against prince and angel fought against angel. Prince Michael commandeered the angelic army that battled against Lucifer and his angels. It seemed that Lucifer would win the fight because he was the stronger one. But in the end Michael received power from The Father and was able to defeat Lucifer and cast him and his angels out of heaven. After being defeated, why does Lucifer still continue to fight against God? Shouldn’t he realize that God is supreme and repent from his mistake? The reason is because he believes that he can still win the war against God one day. He just needs more power. He gains power by the collective consciousness that worship another God other than the true God of Christianity. Lucifer originally wanted to ascend to equal level with Jesus and be like the Most High God. He acted on the bold assumption that The Creator having a mindset of no limitations, would allow a created being to ascend to the level of The Creator if he had the same mindset of no limitations as well. But the the Lord Most High opposed his choice. Lucifer now seeks to overthrow Jesus instead. He seeks to overthrow the personal aspect of God and take over the universal aspect of God to become the new Godhead. He is now using the time allowed to him by the heavenly trial he was placed under to build his power. He has been staging his master plan of taking over the universe throughout all the ages of humanity. Time and time again, he has almost taken over the world with a kingdom whose king was under his influence. But each and every time, God countered his move and prevented that from happening. This is the game that the Devil continue to play against God until the end where there will be another great battle that will take place in the heavens once again. Lucifer will rally his forces for a final launch upon the city of heaven and attempt to conquer it. The great heavenly battle at the end would be similar to the one that took place in the beginning. Except that this time Lucifer will apparently win and overthrow the city of Heavenly Jerusalem. It appears that he would have grown strong enough in power to overcome Prince Michael this time. Lucifer will sit in the temple of God and declare himself as God. He will reign for a certain period of time during his short lived victory. But all is not lost because eventually Jesus Christ himself will come with the saints of heaven to wipe out the evil angelic powers and reclaim the city of Heavenly Jerusalem. The final victory of Christ will be fully manifested as Lucifer and his angels are cast into the lake of fire at last. All this has been prophesied in the bible. But why does Lucifer still try to carry out his plan even though God predicted that he would fail? It is because Lucifer believes that he can change destiny. He believes that he can rewrite the Word because he sees himself as the Word. He believe that he can alter reality and rearrange the timeline. He believes that he can create a new universe where he is God. All of history is a fight between good and evil as Lucifer vie against Jesus for supremacy. The Future exists first in the imagination, then in the will, then in reality. All things are possible but whether something will happen or not is a another story. What you can conceive and believe, you can achieve. Can is not the same as Will. That is why Lucifer uses the Will to manifest the reality he intends by saying “I will ascend above the heights of the clouds” and “I will be like the Most High.” The divine war is a battle of will against will. To prove sovereignty of will between El Elyon (God Most High) and Lucifer. Although every major prophesy of the bible to date has been fulfilled, thereby proving God’s supremacy so far, Lucifer still believes that he can turn the tables around when he has accumulated enough power in the end. How shall the end be is yet to be unfolded. We can choose to believe whether the word of God is true and absolute or not. Jesus is Alpha and Omega, the beginning and the end, the first and the last. In Christ, we are far above all principalities and powers. We have been seated together with him on his throne. Jesus died to give us what even Lucifer fought for but couldn’t attain. Can you believe how great a position and an honor that is? He has given us the highest Sonship with God the Father through himself. As Christ is, so are we in this world. In Christ, we are like the Most High.